Schools and universities are placing increasing emphasis on developing global citizenship. In pursuing this goal, they find experiential learning particularly appropriate as simulation programmes engage not only the head but also the heart. Crossroads’ experiential programmes support schools and universities as they seek to create global citizens and raise students’ awareness of world need. Supporting the New Senior Secondary (NSS) Curriculum Read more. Supporting International Baccalaureate/International School Programmes Read more. We offer simulations not only to students, but also to staff. They are ideal opportunities for retreats and training. We’re working on a collection of materials that schools can use to supplement and build on Global X-perience activities, either before or after a simulation day. Click here to see our initial collection. We’d love to hear from you, if you have ideas to add! 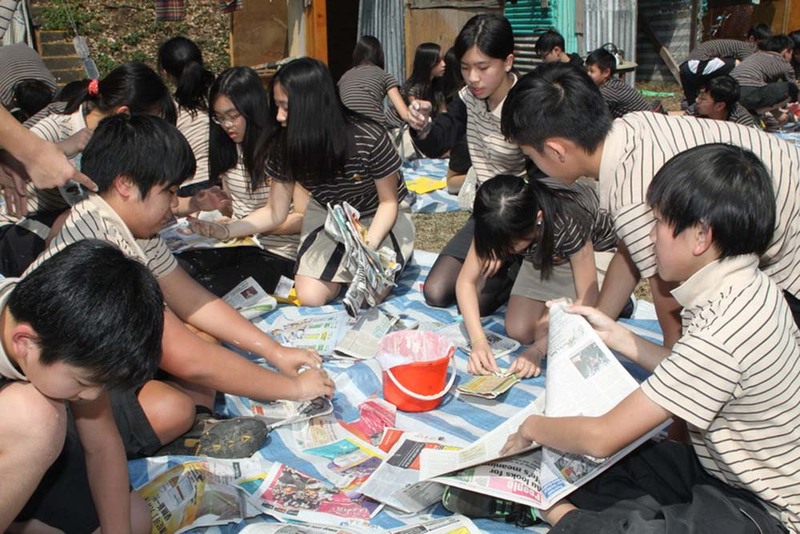 “I learned that we should cooperate to help society and the earth,” primary school student. What else can students do at Crossroads?